Happiness. adj. 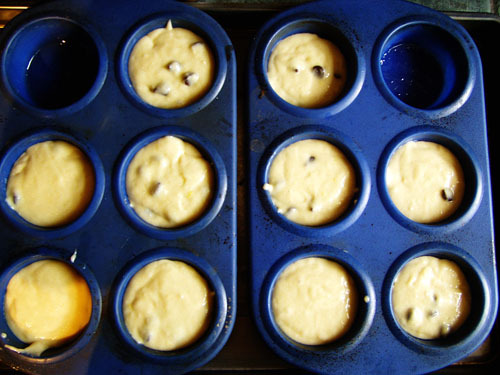 The occasional combination of (i) a pot of coffee, (ii) a plate of simple muffins, and (iii) a Saturday morning. Lovelies, I have just revealed to you my inner sloth. Left to my own devices and otherwise unencumbered by other obligations, I can stretch a batch of muffins and a pot of coffee well into early afternoon as I faff about watching Bravo. But I’m persnickety. Not just any muffin will do. It has to be fresh, and it has to be simple. No overdressed Starbucks monstrosities or cupcakes slumming it without their frosting; a triple-chocolate, wrapper-wearing something or other is not my Saturday style. 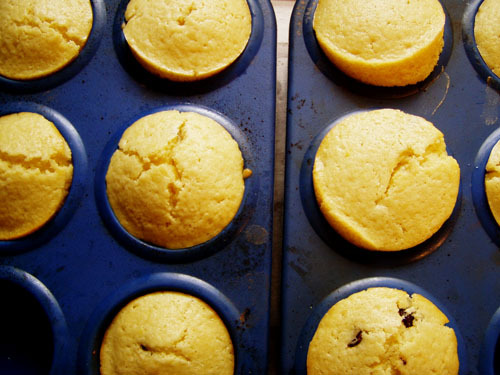 You’ll find a ziptillion muffin mixes in the baking aisle of your grocery store. Please walk on by. Two bowls, a muffin tin, and a few ingredients are all that separate you from one of breakfast’s basic beauties. They are tremendously simple and very much worth the modicum of extra effort. If chocolate chips aren’t your thing, add a handful of chopped pecans or dried cherries. 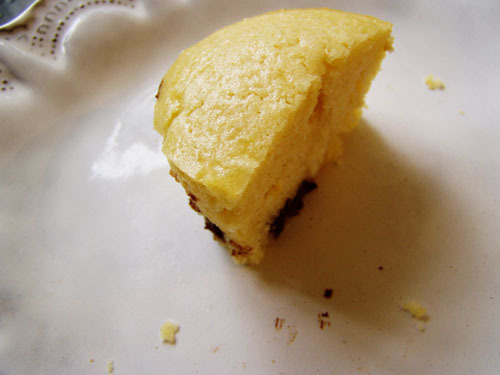 If you really want to get snazzy, spoon a large dollop into each well of your muffin tin, add a small spoonful of jam to the center of each dollop, and top with the rest of the batter. The jam will stay put and make for tasty centers. The underlying recipe comes from Michael Ruhlman’s excellent book, Ratio: The Simple Codes Behind the Craft of Everyday Cooking (see link in the sidebar). You’ll notice that the quantities for the flour, sugar, milk, and butter are listed first by weight. If you have a food scale, use it. Volume measurements are listed in the parentheses and will also work.